You’ll Get A Fair Offer – No Fees At All. No Closing Costs! We Buy Houses within This Area, Whatever The Condition Is. Super Easy Process. Here To Make Sure We Give A Fair Cash Offer. 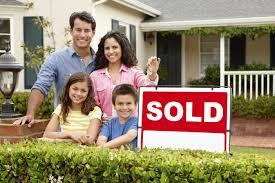 You may have simply found our website because you most likely need to sell your home fast. No worries! Everyone has their own reason why they want to sell.. But here.. Imagine if we can take away all of the pain and headache that you’re have because we can buy your Alamo Heights house for cash! A lot of things could be going through your mind, is it because of a need to stop foreclosure? Or maybe you really have to relocate for a job opportunity? Or maybe you’re just tired of being a landlord and want to know what life would be if you don’t have to deal with your tenants anymore. When it comes to selling your home, we will make sure that you won’t only get a fair cash offer but we’re also here to listen and make sure that we address all the issues that you have regarding the house in that way, we’ll be able to buy your home at ease and give you the peace of mind that you deserve and move on. There are numerous reasons why you’d like to sell and we can assure you that we’re here to give you the attention that you need. Imagine, it only takes one phone call and a few minutes of your time for us to make sure that we give you the offer that is well deserved for your home. Why Should You Sell Your Alamo Heights House To Us? We know for sure that you have a lot of options out there. But why choose us? 1) No need for you to pay any closing cost! We’ll take care of that! 2) No realtor fees nor commissions! Scratch that! 3) No need for you to do any repairs! We buy houses whatever the condition is. 4) We close on your very own timeline. 5) We give a fair cash offer for your home. With us, all you need to do is simply fill out the form above so we can get some information about your home, or call us at (210) 390-0750 to get started! All we want to do is to make things easier for you. Remember, whatever your situation is, we can surely give you a fair cash offer for your house! We buy houses throughout Alamo Heights, but we don't buy every house that we evaluate. Sometimes we're simply not the best fit and that really is OK with us. But why not at least see what we can offer..
What’s In Store For Me In Alamo Heights? This city has the most fun attractions in San Antonio. Locals refer to Alamo Heights residents as 09ers, since the zip code is 78209. Those who reside in this here has formed a close association of families, abounding with abysmal roots in the area. While a lot of of the city-limits is residential, the capital amplitude of Broadway has local restaurants, bright boutiques, interesting museums and nightlife options. • Brackenridge – Most beautiful park ever! You will surely love the trains that runs through it! • Witte Museum – Such a lovely museum that’s worth checking out with the whole family! • McNay – Perfect place to go if you’re into art or wants to see the best art works there is to see! • Central Market – After visiting all of the attractions around, you’ll surely end up hungry and getting to this place will surely make you feel full! Let’s face it. We all have our own reasons why we want to sell and move out of Alamo Heights. We’re here because we don’t just listen, we will hear you out and provide a solution for the pain that you’re going through. Selling your home might not be simple at all but we’ll make sure that we’re gonna be here to make sure that we’ll take care of your home and you’ll get a full cash offer for it. Never hesitate to call us at (210) 390-0750. We’d love to listen.